Oh my is this boy sweet! Denzel is a huge lap kitty. 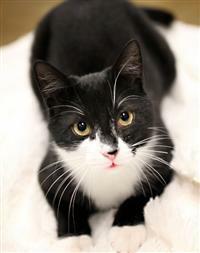 If you're looking for an outgoing cat to be your one and only pet, this handsome tuxie guy might be the one!